He was born on Christmas Day celebrated all over the world – even by thousands of non-Christians. Atal Bihari Vajpayee was kept alive artificially on Inida’s Independence Day, August 15 and the life support was switched off only the next day, August 16 evening (as the I-Day for Indians living in the USA was still on India’s Aug.16 morning). He could not have wanted to spoil the festivities on India’s Independence Day. That was typically Vajpayee, almost 94 years old. This blog reported several deaths, but not repeating what was already available on the Internet or other sources but with personal glimpses. So let us continue that tradition. Taking a group of 52 students of the Department of Mass Communication, Nagpur Universithy as one of the teachers accompanying them on a Delhi ‘study tour’ I was keen that it should not end up another pleasure trip of shopping event, which it usually did. So I prepared them for each visit, be it to a news channel, media house,embassy, politiciasn, Rashtrapatyi Bhavan or news agency office. Then I remembered that one of my ex-students was working on the personal staff of the ex-Prime Minister and then Leader of the Opposition, A. B. Vajjpayee. We did not have an appointment. I asked the ex-student to find out if Atalji would meet us if we drop in unscheduled. 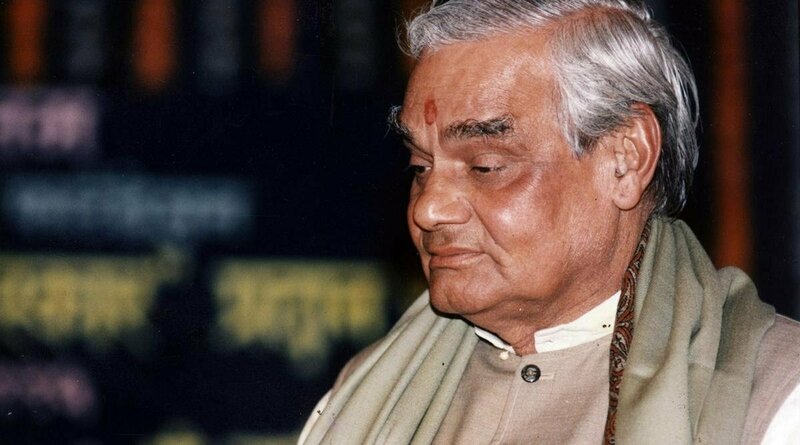 Vajpayee not only agreed and spent time with the boys and girls, some of them later journalists, but treated them to tea, asnwered their questions and made them proud to have wanted to become journalists – the profession he belonged to. At the end, responding to a student who remembered him as a poet, he even recited one of his poems. 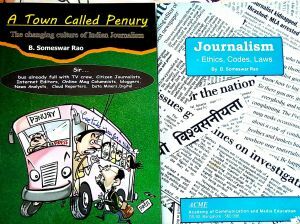 A journalist by calling and a politician with a purpose, he was a poet at heart. And he distinguished himself in all these fields. In sharp contrast to the present day politics of hatred, when Congress leaders vie with each other in abusing an belittling (neech aadmi, chairwala, hahhaha) Prime Minister Narendra Modi — one of Vajyapee’s discoveries — the late leader praised Indira Gandhi, when she liberated Bangladesh, as an incarnation of Goddess Durga. That was Atalji. At a time when the Indian media, bereft of credibility, ethcs and social commitment, are seen at their lowest-ever level, he makes me (and many journbalists of yester-years) proud that thety belong to the profession of the former editor of Rashtra Dharma, Swaraj (Gwalior) and Panchajanya, Atal Bihari Vajpayee.